As we discussed in last week’s Full Sail Graphics blog post, there are several tax write-offs to vehicle wraps. Owners of vans for contractor or fleet services stand much to gain not only in the form of tax benefits, but through advertising. We at Full Sail Graphics know that you have so many choices when it comes to graphic design and large format printing companies. So, here are a few reasons why to choose Full Sail Graphics and Marketing for all of your print advertising needs. 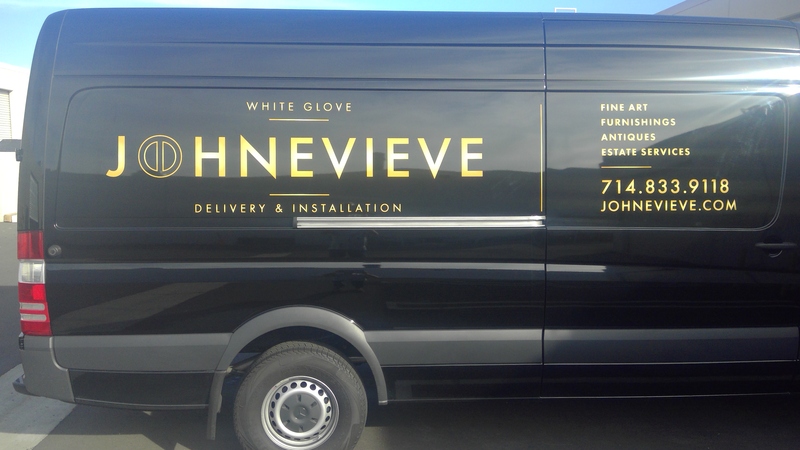 Statistics prove that vehicle advertisements are viewed 30,000 to 70,000 times per day, meaning over 37 million impressions during the average lifespan of a vehicle wrap. Therefore, the approximately 7 cents you pay for every thousand impressions is the best advertising ratio around. Full Sail Graphics understands that every marketing budget is slightly different. We will work within your budget and create a vehicle wrap that takes your business to the next level. It is not always easy to take a mental picture and transform that concept into a concrete product. For a vehicle wrap, sign, banner, or display to look exactly as envisioned, communication is key. We know that it is important to understand exactly how the customer envisions their wrap. By taking time and working closely with the customer, we are able to exceed expectations. Full Sail Graphics uses high quality production software that creates consistency in color appearance, a smooth finish, and a vibrance that lasts several years. We do not believe in cutting costs by using low quality vinyl, laminates, or printers. Full Sail Graphics takes pride in our ability to deliver a quality product that exceeds all expectations. Our staff has a solid background of experience in graphic design, marketing, and advertising. We contract with trained professionals who are able to properly form vehicle wraps or wall graphics to the surface without stressing the vinyl. You can trust that at Full Sail, you are not just getting quality product, but working with quality people. With over 50 years of combined experience in graphics and marketing, the Full Sail Graphics team is confident that we will deliver quality graphics on time and on budget. If you’re looking to enhance your brand, please feel free to give us a call at (714) 274-6706 or visit our website at //fullsailgraphics.com.